Texture Study – Final sculpture of natural textures created with cooling wax. 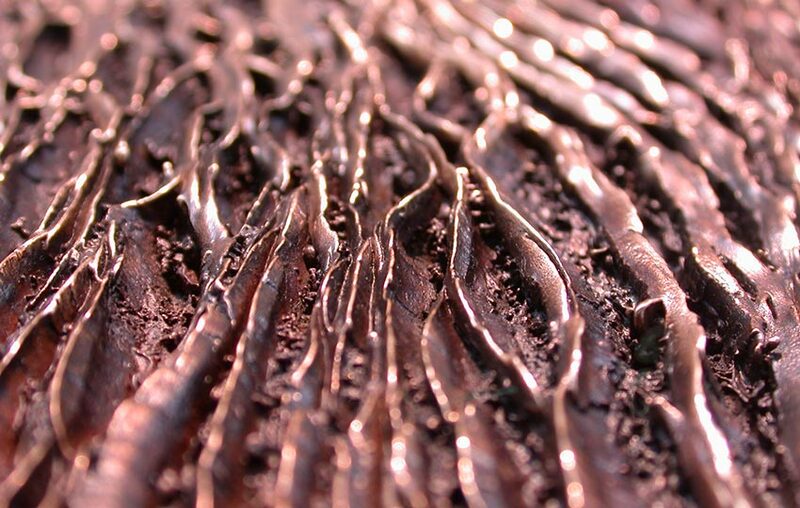 Texture Study – Detail of study of natural textures created with cooling wax. 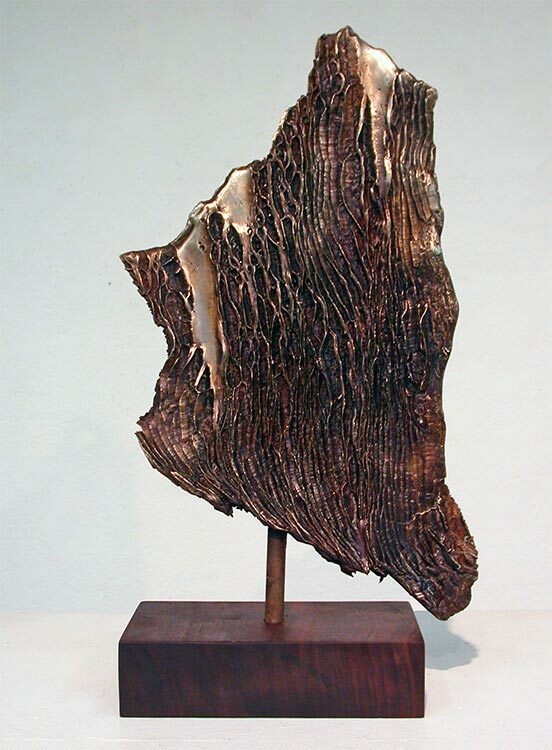 Cast bronze texture study with ferric nitrate patina. Walnut base. 14″ tall.